Below you can view all the homes for sale in the Churton Grove subdivision located in Hillsborough North Carolina. 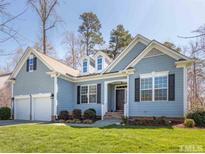 Listings in Churton Grove are updated daily from data we receive from the Raleigh multiple listing service. To learn more about any of these homes or to receive custom notifications when a new property is listed for sale in Churton Grove, give us a call at 919-626-3615. Open kitchen, new range w double ovens, solid counters. HMS warranty. 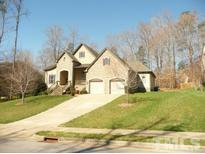 MLS#2249659. 65. Best of Drees plans.Com pool,play ground, tennis courts,walking trials. Very private, fenced yard. MLS#2246691. 65. Lots of neighborhood amenities to enjoy. Energy Star certified. MLS#2244763. 284. A must see! See agent remarks for showing MLS#2237532. 284. Home is fully wired & networked w/ Cat6 ethernet & Rg6 video drops thru out! MLS#2220653. 65. Side load garage. Awesome neighborhood! Pool, trails & more! MLS#2205945. 2879.